Sitting one seat apart from me at the front row of the Greedilous show at last week’s Hera Seoul Fashion Week, Richard Juan looked like he fit right in. 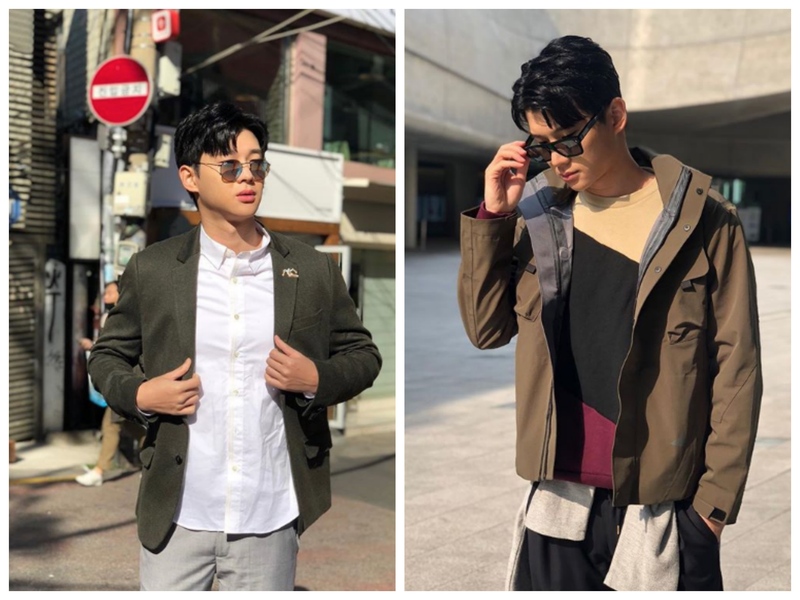 Wearing a casual yet striking street style from the Korean brand and with his unmistakable “chinito” looks (he is of Chinese-Filipino descent), he might as well have been a K-Pop or K-drama star as he watched with intense interest while each of the tall, lanky models strutted the runways. I spoke with him right after the show, telling him that I had met him two years ago in Manila at a random shoot (or maybe it was an industry party) at a photographer’s studio, with vague details I couldn’t quite place. But what I did remember from that time I first saw him was that I was certain it wouldn’t be long before he becomes a big star. Richard has made his claim to fame as a product of a lunchtime TV contest and reality TV show that skyrocketed his career in hosting, modeling, and acting, and at some point he garnered the moniker “trending boy” when he topped online polls and became the topic of social media hashtags. 1. 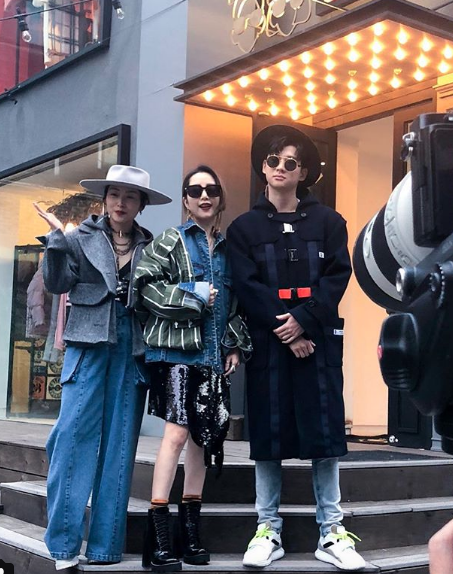 Is this your first fashion week in Seoul? What was your experience like? Yes it was my first Seoul Fashion Week! I have read about it through my friends and my supporters on Twitter and Instagram actually for the past couple seasons! I was also told by my friends that a lot of big Korean superstars are usually present at them too. My experience was definitely unforgettable. It was a whole week of inspiration — especially with fashion — I totally wish I can dress how I did last week everywhere I go! It was so much fun meeting and interviewing Korean celebrities, designers, models, and attendees! I was very fortunate to be invited to front row seats to several shows such as KYE, Greedilous, LIE…etc. What was your dressing strategy? My dressing strategy was to really dress to impress. Nothing too extravagantly flashy but at the same time it’s got to be dressy enough that people will look at you and admire you. Can’t imagine going to Seoul Fashion Week in t-shirt and shorts! Richard wore a mix of classic and street pieces that were travel- and fashion show ready. Who were the people you met? Any starstruck moments? I actually got to interview a couple of designers such as Li Chung Chung of LIE, Kathleen Kye of KYE, and Yeonhee of Greedilous! Besides that, I was very fortunate to see a lot of Korean celebrities and befriended a couple. I became friends with Lia Kim and Tony Hong. At the same time, I was able to see some celebrities such as Lee Jong Suk, Lucas of NCT, Clara, N of VIXX… and many more! It’s so sad though that I didn’t get to see my crush, (Girls’ Generation member) Seohyun! Do you plan to go again next season? I do hope I get to go again next season! But it will depend on my schedule and how things go too. Catch Richard’s adventures in Seoul and watch out for his Seoul Fashion Week coverage via his Instagram @richardjuan!